In 2018 FESPA Brasil supports the largest printing exhibition in the Americas: ExpoPrint Latin America 2018. This is a perfect timing to have a complete overview of what the printing industry has to offer. FESPA supports ExpoPrint, especially because both share the same mission to share knowledge with market professionals. All the educational initiatives from FESPA Brasil will be at ExpoPrint Latin America, as the Digital Textile Conference, International Visual Communications Congress, Sublimation Day and CAMBEA. FESPA invites all of its visitors to visit ExpoPrint Latin America 2018! 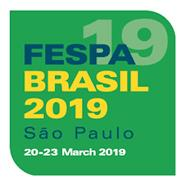 And, in 2019, FESPA Brasil will be back annually as the main stage of innovation in digital printing technology.